I hope you’re all ready for this next thrilling installment about ear piercing. It’s gonna be a veritable rollercoaster ride, so sit still and strap yourself in cos I’ve got some of ear piercing heavy-hitters coming up! The ear lobe is without-a-doubt the most popular piercing in the galaxy. They’re versatile, easy to heal, and open to a plethora of jewellery options. Ear lobes come in all shapes and sizes, and I’ve never met a lobe I couldn’t pierce. For those that might ask- THERE IS NO GAY SIDE! So lets put that myth aside and we can all sound a lot less ignorant. Win/Win. 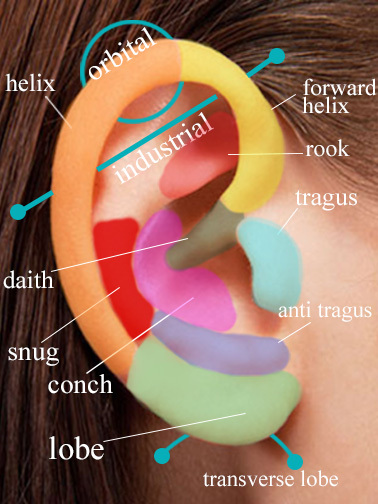 The Helix is the cartilage curl that folds around the perimeter of the ear. After the ear lobe, it is a firm 2nd place on the piercing popularity polls. It’s also super versatile, but it can be quite a tricky dicky to heal. 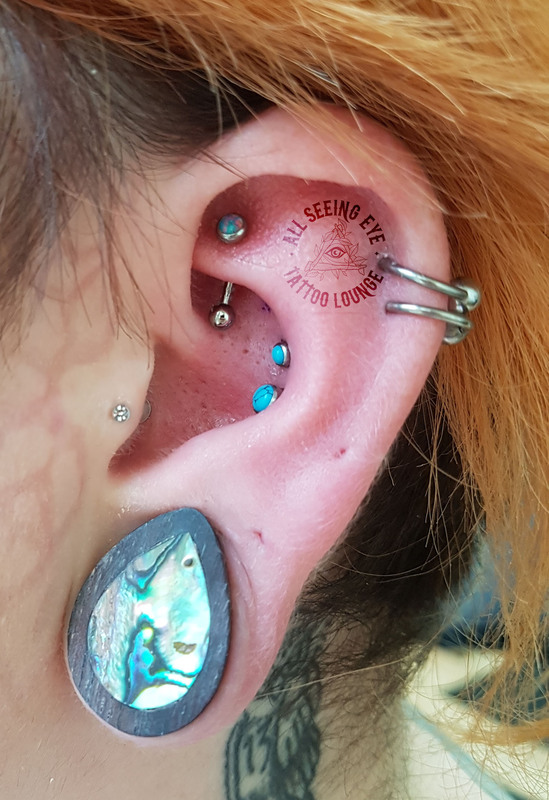 I would recommend popping back to have your jewellery downsized 3-4 weeks after the initial piercing (providing it’s healing well of course). 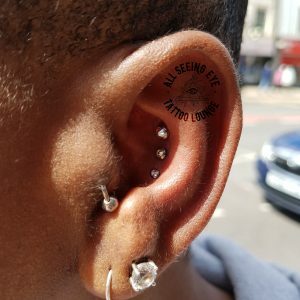 Otherwise you could end up with the jewellery migrating, leaving you with a wonky & irritated piercing which is no fun at all. I know, I know- F comes before H. However it makes more sense to do it this way, and I don’t need to explain myself; SO THERE! 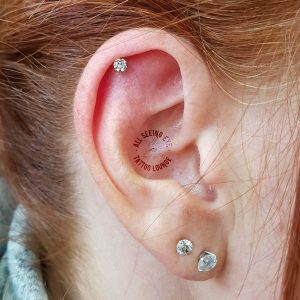 The forward helix has gained massive popularity over the past 5 or so years and rightfully so! 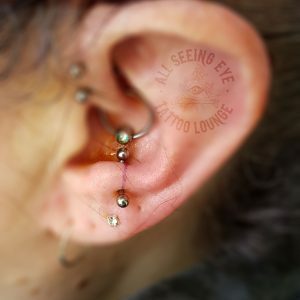 These piercings look fantastic as a solo piercing, but when you make it a double or triple it can look truly phenomenal. That’s it for part two. Part three will be coming up next week. Thanks for reading. 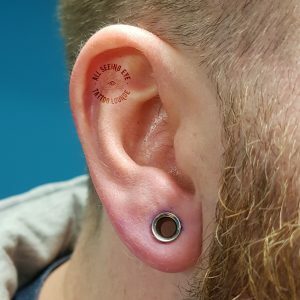 Everyone loves pierced ears. Earlobes themselves are the most socially acceptable piercing one can have. However, if you like something a little spicier than mayo, there is a whole world of options to enhance your lugs. The above image gives you a good idea of the areas of the ear which can be pierced. 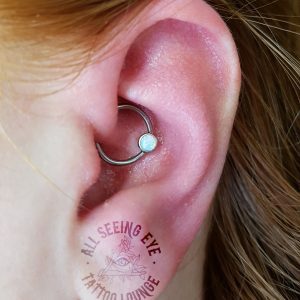 The anti-tragus is the firm little nubbin above your earlobe. They are most commonly pierced with a curved barbell. 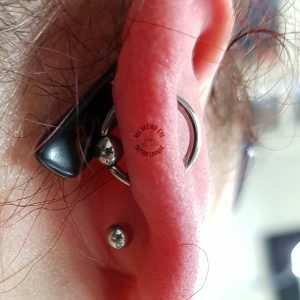 They are one of the more uncomfortable ear piercings you can get but they really do look stunning with the right jewellery choice. 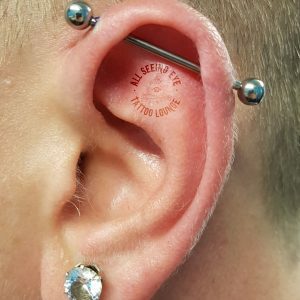 This is one of my favourite piercings of all time. The conch is the inner shell of your ear. 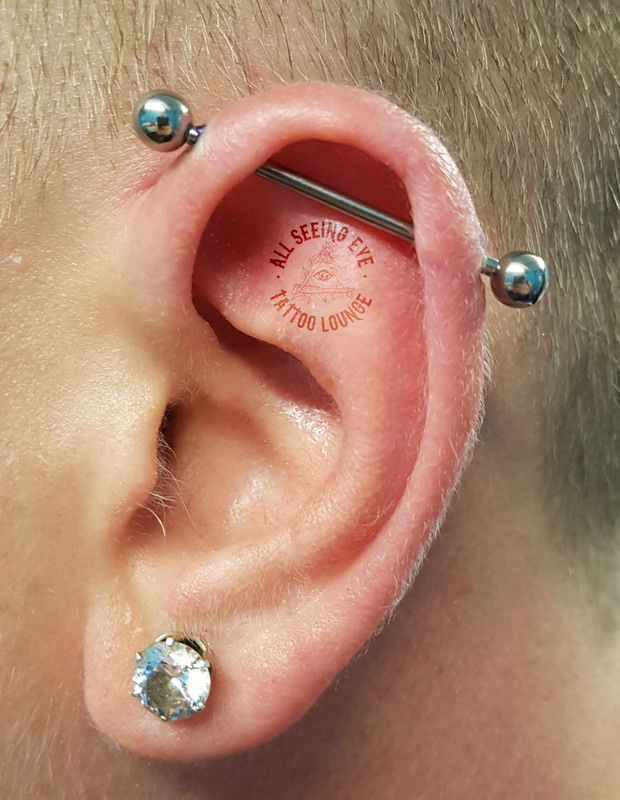 It can be pierced at the very top, the very bottom, or anywhere inbetween. 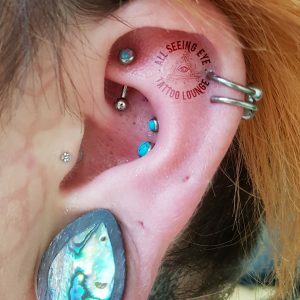 It’s such a versatile area for multiple piercing projects, large-gauge piercing, or jewellery with larger attachments. Okay, I wouldn’t really slap you with anything other than knowledge; An orbital is two piercings connected by one ring. A conch with a ring is a conch with a ring. Actually won’t cure your migraines, but there is plenty of anecdotal evidence to suggest that it might help (no promises). Actually looks superb so you should get it anyway! It’s a spicy meatball this one, so be prepared for a sharp pinch. It is so worth it! Thus concludes Part One. Check back soon for the next thrilling installment of Ear Piercing 101!! !